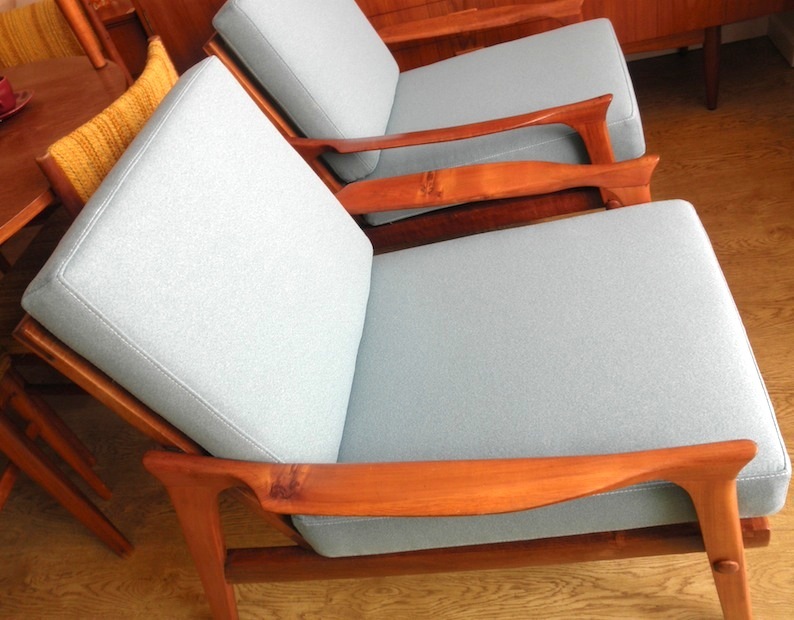 This set of the iconic ’60s DD armchairs is the most desirable low back model.They also have Mertyl wood frames making them one of the rarest examples of this model. We have stripped the timber work back and refinished them in a natural finish to show off the amazing radiant grain and rich colour. 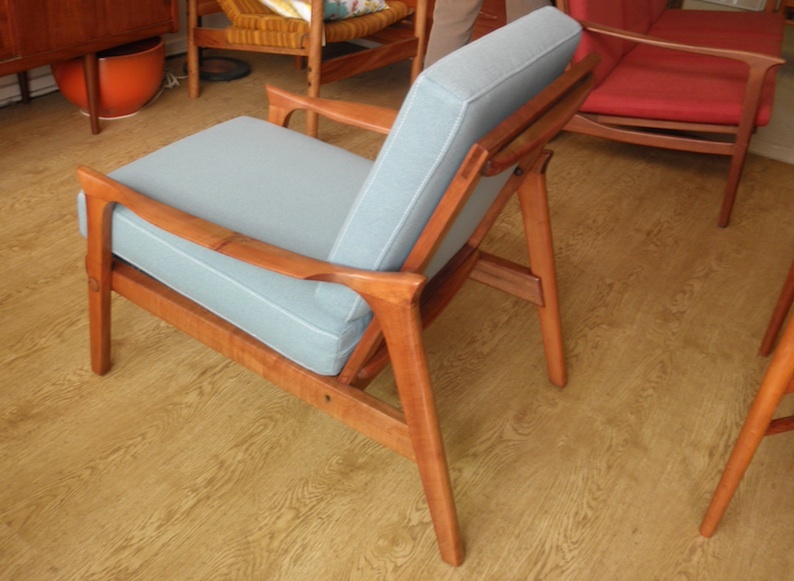 We have had them reupholstered in a light blue fabric over new high density foam cushions. 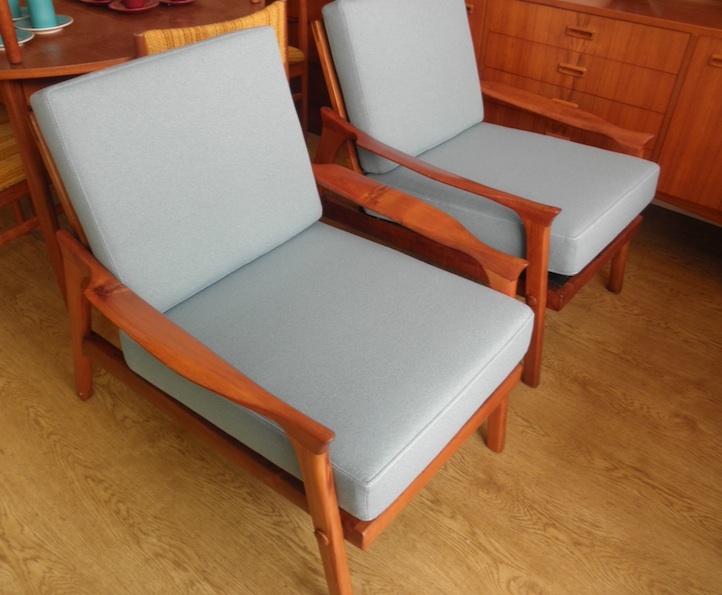 Great set of desirable classic Australian modern chairs.